The wheel of life turning and nature just doing its’ thing. 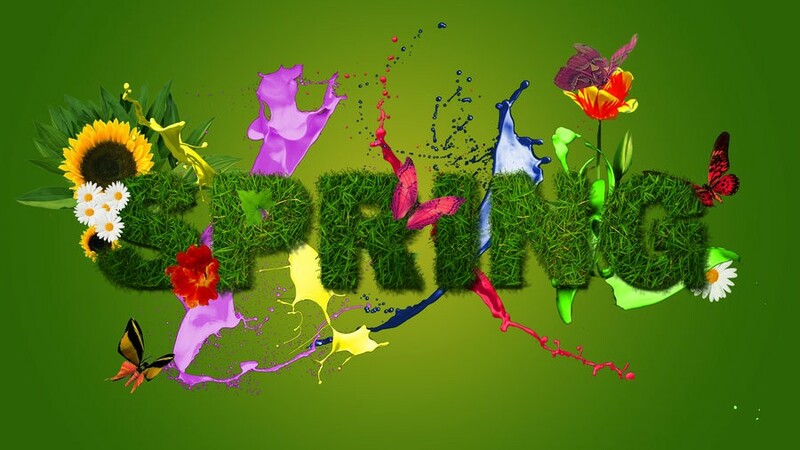 “When that April, with his showers sweet, the drought of March hath pierced to the roote and bath every vine in such liquor of which virtue engendered is the flower”, Geoffrey Chaucer, General Prologue, The Canterbury Tales, circa 1387. Now here’s the thing — There’s something about the advent of Spring that puts in mind thoughts of Wellness, Wellbeing and looking after and nourishing one’s self. Perhaps it’s the rebirth and renewal meme? Things coming back to life. Fresh colour, and a new vibrancy and vitality reimagining the landscape. For me Springtime is mostly about beginnings. I’ve lost count of the number of times I’ve begun a new job at this time of year, or made major life changing decisions. 3 of my 5 children mark their birthdays at this time of year too. Spring though is also a season of endings. In Europe birds that have migrated south in the Autumn to escape the bitter conditions further North depart, signalling the end of Winter. It’s also the end of the line for winter vegetables such as kale, swedes and parsnips. The final sloes, haws and rowan berries have been eaten by birds and small mammals. Whilst branches that have lost the last of their seeds, or keys, now start to become adorned with black buds that will soon burst forth into a riot of coloured flowering clusters. I have talked a lot about Mindfulness in other pieces on Thrive Global and there’s no time like the present to start. To start being fully in the moment, to learn to remain present, and develop technique and attitude through both formal and informal Mindful Breathing exercises and everyday activities such as Mindful Walking and Mindful Eating. To start paying full Attention to everyday experiences, to notice what is happening as it happens, and to start single tasking rather than multi-tasking. The pre-Socratic Greek philosopher Anaxagoras wrote, “The mind is infinite and self-ruled, and mixed with nothing”. With Mindfulness it is absolutely OK to mix with nothing and to have, “No where to go and nothing to do”. And Mindfulness isn’t just something that takes place in the Mind; it also involves the heart, as well as other parts of the body too. Anaxagoras was also the first person to formulate a molecular theory of matter and regard the physical universe as subject to the rule of rationality and reason. Recent work pioneered by among others, Richard Davidson, Professor of Psychology & Psychiatry at the University of Wisconsin-Madison, has found evidence of a rapid change at the molecular and celluar levels in the genes that regulate inflamation, pain and recovery from stress, in people who meditate and practise Mindfulness. That’s really exciting news in the research and development of new drugs for pain relief. These genes have been at the heart of this, but it may well be that the meditative practise associated with Mindfulness could offer a real alternative to drugs with the potential for far fewer side effects. The influence of Anaxagoras can be felt throughout the 18th Century and the Age of Enlightenment. Particularly with Rationalist Philosophers such as Voltaire, Denis Diderot, Adam Smith, John Locke and John Jacques Rousseau et al, who claimed reason was everything and through reason human kind could control its destiny. This thesis went on to give birth to two further beliefs — 1st that progress is a means in itself & 2nd that we are Prefectible. Perfectibility — Who’d have thought It? Perfection shouldn’t be an objective as Benjamin P. Hardy recently wrote in his Thrive Global piece, ‘Tell Me What You Did Today, And I’ll Tell You Who You Are’. Nor should it be, as I also argued in another recent piece on Thrive Global, ‘Let Go of Perfect & Never Ever be too Hard on Yourself’. In fact, as hard as we might try to the contary, our unconscious drives a fair bit of our behaviour and it is far from rational or perfect. Gautama Buddha spoke of the Monkey Mind over 2500 years ago and more recently Steve Peters book, ‘The Chimp Paradox’ has become a global best seller. But if you want to really see how rational and perfect we’re not, you need only checkout Behavioural Economics and the work of Daniel Kahneman, Dan Ariely and Richard Thaler, among others. You should be Mindful of what you do have influence over, and what you don’t, and only focus on things you can change, because there will always be so much happening each and every day that is outside your control, no matter how much effort you put in. “Mindfulness isn’t difficult. What is difficult is to remember to be Mindful”, John Teasdale. I believe that the welfare of the present — both of ourselves and others — can provide an oasis for the future and is the very essense of our future wellbeing. However, consumed by life and its constant motion and commotion, it can be all to easy to overlook our duty of care to ourself and others — We simply forget to remember. So, is there no better time than now in the midst of Spring — With all its endings and new beginings — for a Call to Action that also serves as a very timely and necessary reminder. And let’s all be nourished by April’s sweet showers of such liquor that we are engendered to flower, as we hold close these totally en-pointe words from Voltaire, “Happiness lies in the cultivation of the garden”.